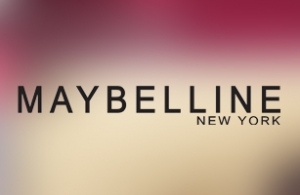 In 2011, an advertising company, partner of intros.gr, designed a promotional campaign for Maybelline New York. Company's facebook fan page launced a facebook application. The design and development of the application were assigned to intros.gr. The prize of the competitions was a summer make up set for a lucky lady, per week. The users had to watch an unfinished video of a love story. Then they had to write their own end of the story and watch it. In order to increase winning possibilities they had to invite friends to participate as well. Finally they had to announce their participation in the competition through Facebook. it is quite clear that competitions or facebook applications increase the spreadability of the fan page in facebook and website as well. Through such competitions, companies can increase the target of potential customers and potential sales. In intros.gr we believe that neither the design and development, nor the cost of such applications in facebook should be an obsacle to company's growth. We have the knowledge, the experience and the technology to implement any idea, as difficult as it may seem.